James Dillet Freeman - Be! 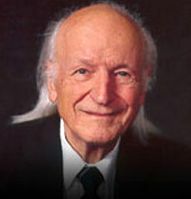 James Dillet Freeman (1912-2003) served Unity School of Christianity for nearly 70 years as a teacher, writer and speaker. His poetry appeared regularly in Daily Word, Unity's daily devotional magazine. He became director of Unity's ministerial training program and also was the Director of Silent Unity. Called the "Poet Laureate to the Moon" or "a modern day Ralph Waldo Emerson," James Dillet Freeman was one of the most popular Unity writers of recent times. His poetry has been read by hundreds of millions of people all over the globe. Does Unity consider any poetry from other people? I met James Dillit Freeman at the Unity compound. I've been a member of Unity for over thirty years .How would I submit poetry to unity if they accept poetry from others? I would begin with the Daily Word Forum at http://www.dailyword.com/forum Get to know the community and Spirit will guide you.